An entertainer's dream home! 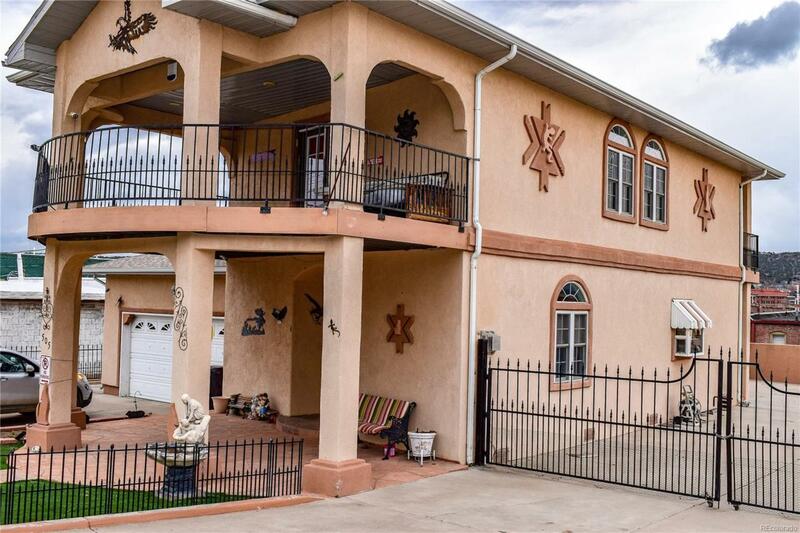 This amazing two-story stucco stunner, has the greatest Views, Pool Table, Wet Bar, INDOOR HOT TUB, Electric Dartboard, Covered Deck, Balcony, and Two Oversized 2 car garages! Main level master & main level laundry, Open Floor plan, pocket doors, Big Pantry, Gas fireplace, and custom cabinetry make convenience and comfort a priority. Tons of secure off-street parking, Low maintenance exterior, and walking distance to downtown! Very well built with R-19 insulation, keeps the home quiet and cozy warm. Can be zoned Commercial, is in the Green District, Historic Downtown District, and Can Easily be converted into a Duplex! The possibilities are endless! !